Running a youth sports league can be difficult. Whether you’re a coach in charge of your school’s youth sports programs, or a staff member at a third-party youth sports organization, you’ve got a lot on your plate. This means that, all too often, youth sports leagues suffer from focusing only on the short-term. You’re so focused on the next game, the next practice, or the next event that you have no time to think about long-term improvements to your league. And we understand that – it’s difficult to look ahead when there’s already so much going on. 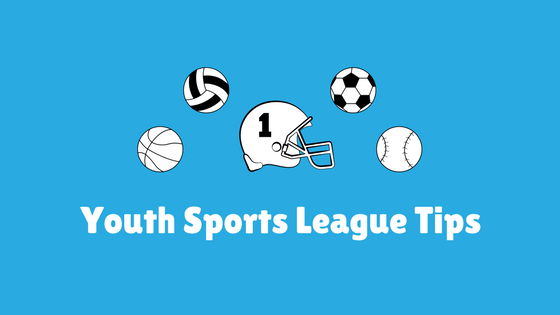 So, to help take the pressure off, we’ve put together a list of four ways that you can improve your youth sports league and provide a better experience for all your little sportsmen and sportswomen! 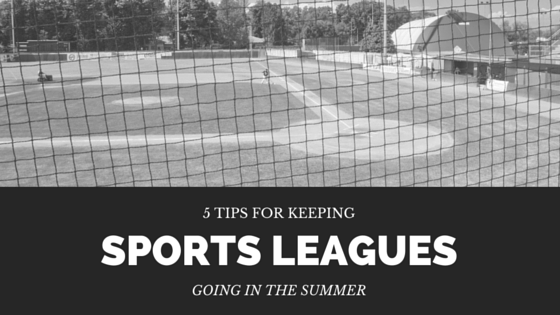 This is especially important if you’re running a large youth sports league. If you can manage to get all of your coaches together to talk about coaching strategies, practice techniques, recommended drills, and other topics, you can increase the overall quality of your coaching – and this leads to a better experience for the kids in your youth league! Don’t encourage an atmosphere of hostility or competitiveness among coaches and their teams. You’re there for the kids – and coaches in youth leagues should be more like camp counselors than drill instructors. Coaches are meant to help their kids improve and succeed, but at the end of the day, you’re all on the same team. So encourage coach collaboration in your youth league. It’s especially helpful if you have inexperienced coaches in your league, who can always use advice from seasoned veterans. A coach’s dinner at the beginning of the season each year is a great way to do this – get every coach together, and they’ll start talking shop almost immediately! At the beginning of the season, ask parents and players to fill out a feedback sheet indicating what they expect to get out of their time in your youth league. This can help indicate a general direction your league should go in. For example, if the majority of players just want to have fun and compete, you can be a little more relaxed when it comes to coaching. However, if the majority of your players say they want to be very competitive and improve, you can focus less on fun – and more on training. Then, at the end of the season, you should provide players and parents with another feedback sheet. Solicit feedback based on their initial surveys. Did they get what they wanted? How were the coaches? What was great? What areas could use improvement? This is an extremely powerful way to refocus your youth league, and ensure that participants feel truly valued and get what they want out of it. One of the biggest problems that kids have in youth leagues – especially if they are not the most exceptional or gifted players – is feeling ignored or overlooked by coaches. We understand that! Even the most seasoned coaches will often gravitate towards naturally athletic kids who have the most potential. But in the end, your youth league isn’t just about one kid. Every member of your youth league is important, and deserves to feel special. So at the end of the year, forego the classic “participation trophies”. Instead, provide each one of your youth league members with “improvement reports” – customized reports that outline what they’ve improved upon this year, how they’ve excelled, and their overall contributions to the team. These don’t even have to be related to the sport. Maybe you’ve got a kid on your soccer team who is not the best player, but he’s always been super friendly to new players, he always makes his friends laugh, and he makes sure everyone has fun at practices. Have the coach mention that on his improvement report! Each member of your youth league contributes to their team in a positive way. So focus on that and acknowledge it – you’ll be shocked at how much your players appreciate it! Communication has often been difficult for youth leagues – especially in last-minute situations. Rainy days mean canceled soccer practices. Overbooked gyms can mean cancellations for volleyball leagues or basketball teams, and if you change the venue for a game or a practice at the last minute, there’s a good chance that some of your league members won’t get the message. So what’s the solution? DialMyCalls! DialMyCalls is a fully-featured custom SMS, voice, and email messaging solution that makes it easier than ever to stay in touch with your league members. Using the DialMyCalls interface, you can organize lists of league participants by sport, team, and much more, allowing you to send out mass SMS messages to each particular group, and keep them in the loop with the latest updates. You can send notifications about weather updates, information like starting rosters for the next game, updates about venues and game start times, and much more. 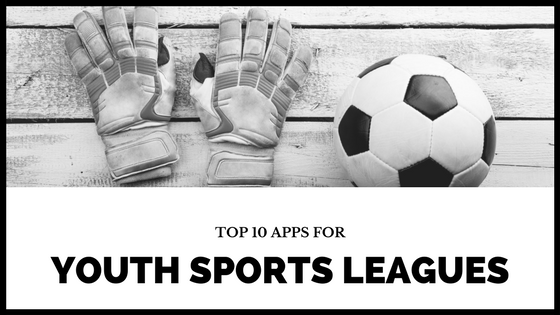 By taking advantage of the power of SMS messaging, you can ensure that parents and players alike receive your most important messages and that every member of your youth league is on the same page. 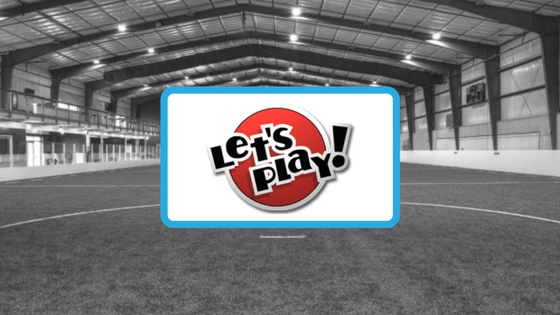 Focus on These Areas – Improve Your Youth Sports League! If you can focus on these four areas of improvement – coach collaboration, seasonal feedback, focusing on individual players, and communicating more effectively with league members – your league is sure to thrive. So don’t just focus on the short term. When this season ends, start thinking about the future – and think about how you can use these techniques to make your youth league a better place to play!